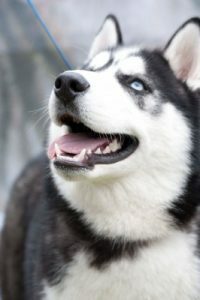 Siberian Husky Rehoming Network is dedicated to finding good homes for preloved Siberian Huskies, and finding Siberian Huskies for good homes. Our safe, effective and affordable dog rehoming process ensures the safety and peace of mind of dog, owner and adopter. 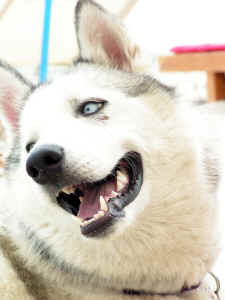 Need to find a good home for your Siberian Husky or Husky mix dog or puppy? 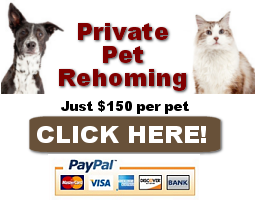 Contact our pet rehoming coordinator, or request Siberian Husky Dog Rehoming Services here. 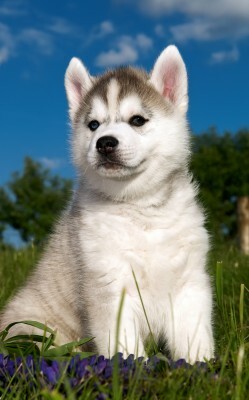 Thinking about adopting a Siberian Husky dog or puppy near you? 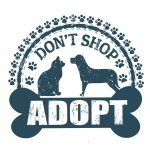 When you adopt a pre-loved dog or puppy from Pet Rehoming Network, there are many benefits. You get to meet the dog’s owners, and find out all about the history, personality, health, training and care routine of your new companion. Most Siberian Huskies rehomed through our organization are in good health, up to date on vaccinations, spayed or neutered, trained, and come with any supplies their owner has for them. Home to home Siberian Husky adoptions help keep beloved family pets out of shelters. 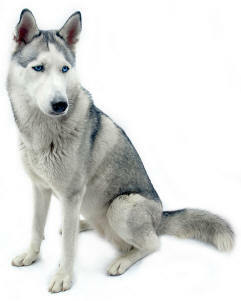 Adopt a Siberian Husky or get on our waiting list today. 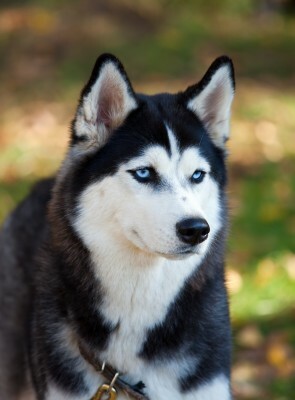 There are few dog breeds as charming and enervating as the beautiful Siberian Husky. Related to the Alaskan Malamute and the wolf, the Siberian Husky is an extremely loyal dog built for hard work. His compact, muscular body and thick hair coat bring to mind the vast snow plains of Alaska and Siberia. Watch a Sibe in the first snow of the season, and it’s impossible to miss the utter joy in his play. He will dig a hole in the deep snow and curl up for a nap, leaving his human companions flabbergasted. 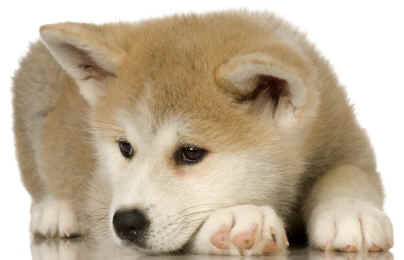 Wondering if the Siberian Husky dog breed is the right choice for you? Read on! The Siberian Husky is a medium size working dog breed that originated in north-eastern Siberia, Russia. The breed belongs to the Spitz genetic family. Credit for this uniquely-marked member of the Spitz family goes to an indigenous tribe of Russian people, known as the Chukchi or Chukchee. Living on the Chukchi Peninsula and along the shores of the nearby Bering and Chukchi seas, these people relied heavily upon reindeer and sturdy sled dogs to help them haul heavy loads across the frozen terrain, as well as for speedy travel across the ice and snow. Fleet of foot and powerfully built, these beautiful dogs were ideal candidates for the job and were utilized for centuries. In fact, recent DNA analysis has been able to confirm that the Siberian Husky along with his cousin, the Alaskan Malamute, is one of the oldest breeds of dog in the world. It’s still debated whether or not the Siberian Husky actually originated in Siberia, or if he originated elsewhere but was then developed by the Siberian Chukchi people. Regardless, it is a known fact that he was first introduced to Alaska in 1909, where he practically dominated the sport of sled dog racing. To date, the Siberian Husky remains a popular favorite amongst the various sled dog breeds, prized as a faithful and loving companion, a worthy guardian of the family, and a hard worker with lots of heart. As well-known as his wolf-like markings and curled tail, the intelligence and gentle temperament of the Siberian Husky endears him in the hearts of most who meet him. Siberian Huskies grew in popularity following the 1925 Diphtheria epidemic in Nome, Alaska, when the people had to rely upon swift-moving sled dog teams to carry the life-saving medicine to the city. Also used in the Antarctic Expeditions of Admiral Byrd, many were amazed by the beauty and power of these amazing dogs and they would continue to spread throughout the United States and throughout the world. Today, the Siberian Husky is one of the world’s most popular and beloved breeds of dog. At an average of 35 to 50 pounds for a female and 45 to 60 for a male, the Siberian is the smallest of the Husky-type breeds. Falling into the category of medium-sized working breeds, the Husky sports an extraordinarily thick undercoat and short guard hairs, perfect for trapping and holding body heat in dub-zero temperatures. The brush tail curls over the back, and ears are upright. The Siberian Husky is considered to be one of the world’s most easily recognizable dogs, with his wolf-like coloration and high-held sickle-shaped tail. The truth of the matter, however, is that not all huskies have this distinguishable appearance – In fact, the Husky dog can come in wide variety of colors. Colors range from pure white to all black, and with many different color patterns in-between. Another similar misconception is that all Huskies have blue eyes – the Siberian Husky’s almond-shaped eyes can be amber, blue, brown, parti-eyed (part blue and part brown) or bi-eyed, where they have two different colored eyes all together. Siberian Huskies are built for the environment where they originally developed and for the jobs that they were typically used for; square and solidly built, despite a shorter stature than larger sled dogs, they are surprisingly powerful while maintaining swift, free movement. Their coats possess a very dense and wooly undercoat, perfect for keeping out the bitter temperatures (sometimes as low as 50 degrees below 0), and their large snow-shoe type feet are perfect for running across the partially frozen snow and ice. The Siberian Husky puppy is an active and excited prankster, full of a zest for life and a seemingly endless desire for play. This playful and mischievous behavior usually lasts well into adulthood, making the Siberian Husky an entertaining companion for many years. With children, he is usually gentle and protective, enjoying games where he races around and plays tag as opposed to knock down and wrestling games. Huskies love to run and the opportunity to give chase to things is seldom turned down. While gentle with children in most cases, the Siberian Husky does retain a lot of “wild” aspects – They prefer the company of other Huskies and are usually pack-minded. While this means that they are protective of home and family, it also means that one must establish dominance or “alpha” status with their Husky or disobedience and pranking is common. 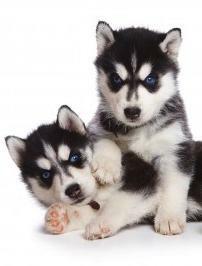 Additionally, Huskies can also be troublesome with other animals, particularly smaller ones. Some are known for a penchant for running deer, while others will attack birds, rabbits and cats – not out of malice, but simply due to a natural tendency to do this. One way to help alleviate this problem is to raise your Husky puppy around these animals and integrate them into the family, so your Husky learns to tolerate them. Even so, playtime should be observed, in order to ensure all are safe. Like any breed of dog, the Siberian Husky is subject to a variety of health concerns though, fortunately, few are breed-specific. When deciding to choose a new Siberian Husky puppy, check around with several breeders and ask about the various health issues that can affect these beautiful canines. A reputable breeder should be well-versed in the health concerns and should be able to give you more details, as well as showing you the sire and dam of your potential puppy. In reality, the Siberian Husky is anything but the vicious creature his appearance suggests. This is a sociable, eager, but high-energy breed, difficult to keep under control in a suburban residential setting. Siberian Huskies do not take well to the typical chain-link enclosure. If they can’t climb out, they will dig under the fence to escape. They fare best on a wire runner, but don’t be surprised if your intelligent, crafty pup quickly masters the connecting snap or finds a way to remove his collar. Sibes need room to run, lots of exercise, and a job to do. This breed is not suitable for apartment living unless you are willing to put in the time to make sure that his need for activity is met. Hot climates are difficult for the Siberian, so if you live such an area, you may have to resign yourself to shaving the dog for most of the year. While the Siberian Husky’s coat does not mat up if he fails to receive a daily brushing, most dogs do enjoy a weekly combing and it’s a good time to give your dog some hands-on TLC. This helps to detect potential problems early on. Huskies also shed their coats a couple of times a year, where their thick and wooly undercoat will come out in clumps; a daily brushing during this time will help to free this dead hair from his coat and cause less of a mess to your furniture and carpeting. Training your Siberian Husky requires time, patience and a gentle nature. Huskies do not respond well to a heavy hand or loud voices but, instead, learn best by repetition and with lots of praise to reinforce positive behavior. Consistency and routine are a must when training your Husky puppy. Is a Siberian Husky the Right Choice for You? It is easy to be seduced by the friendly, quick nature of the Siberian Husky and the unmistakable hint of the wild in his wolf-like appearance. As with any exotic breed, it is vital to your happiness and his that you have the resources to provide what the breed requires before you allow yourself the pleasure of bringing home a dog of this type. They are strong and strong-willed, intelligent and personable, benefiting greatly from obedience training, but they are not the breed for every owner. If you are faced with the difficult decision of rehoming a Siberian Husky (or mix), please feel free to get in touch with us using the form below. We can help you decide if rehoming is necessary, and offer expert help in location the right home for your beloved companion. Our organization helps find good homes for preloved Siberian Husky and Husky mix dogs and puppies in all areas of the USA and Canada. Pet Rehoming Network is dedicated to finding good homes for preloved Siberian Huskies (and mixes) throughout the USA and Canada. Contact our dog rehoming team for more information. 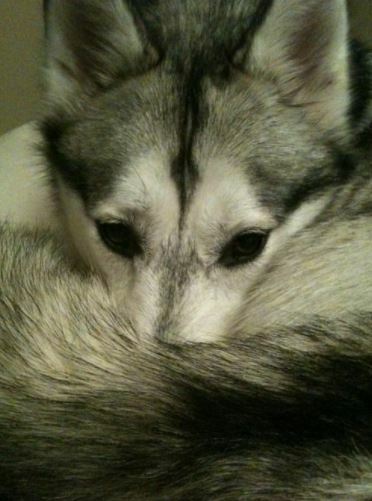 We look forward to helping you rehome a Siberian Husky safely and effectively.